Product categories of Pine Nut Kernel, we are specialized manufacturers from China, Pine Nut Kernel, Pine Nuts suppliers/factory, wholesale high-quality products of Pine Kernels R & D and manufacturing, we have the perfect after-sales service and technical support. Look forward to your cooperation! Pine Nut Kernel, most popluar as Red pine nut kernnels and Cedar nut kernels, is a high grade food used by American, European, Middleeast person mostly, has abundant nutrients. Its harvest season is autumn. China is a major country in supplying high quality Pine Nut Kernels, so does our company! 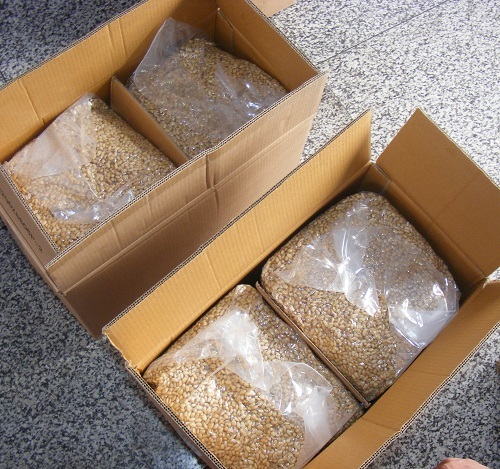 Our pine nut kernels packed in cartons with two bag, shipped by sea usually. High quality with competitve price is our target and we are strong in this field.